September is almost gone and October is just around the corner. We are all getting ready for the most colorful month of the year! We’re so excited about the pumpkin-flavored season, cozy sweaters, warm drinks, and pretty colors! But do you know what else is exciting? 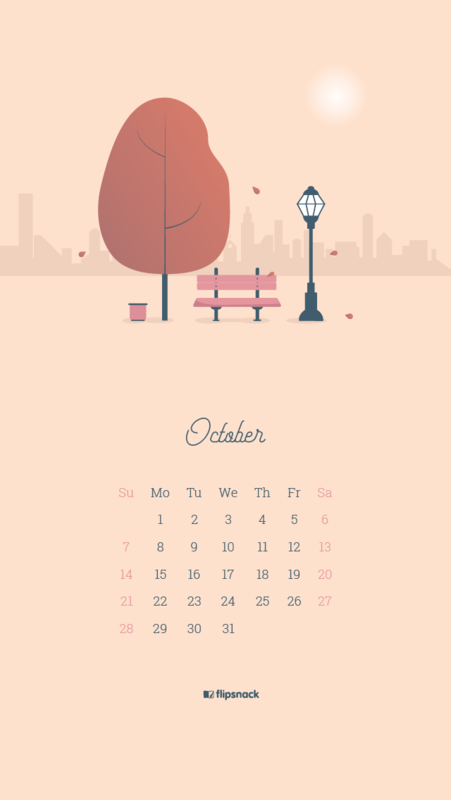 Our new free October 2018 wallpaper calendars! 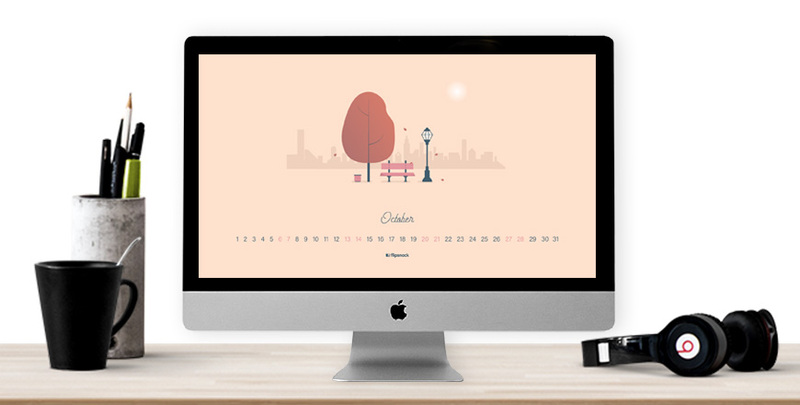 As always, we made 2 different designs and they both come in 3 sizes – the first wallpaper calendar is recommended for desktop, the second background for laptops and the last one for mobile devices. And the best part of this is that they’re totally free! It’s a gift from us to you, so feel free to download the October 2018 wallpaper that you prefer. 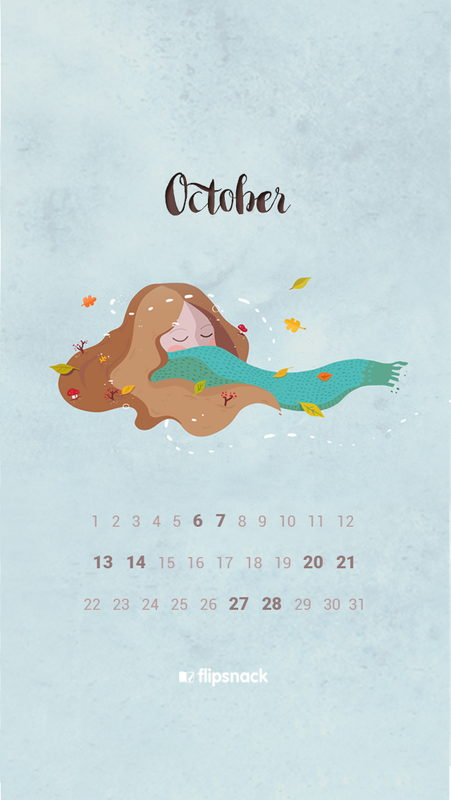 The first calendar illustrates the bittersweet taste of October. On one side, we’re feeling melancholic that the long summer days are gone, but on the other side, we’re all embracing the beautiful colors of trees and the twilight sky. 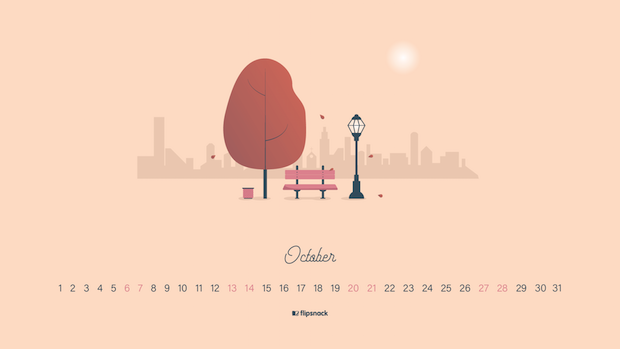 October symbolizes the true heart of autumn. This time of year represents the perfect blend between daydream and reality, with its amazing weather, relaxing mood and soul-calming breezes! October is definitely my favorite month! I simply love to stay indoors and put on my favorite sweater to get cozy. Even if it’s cold outside, a really good book and a hot cup of tea always keep me warm. I can already smell the aroma of the frost-kissed apples, the ripened grapes, the roasted nuts and the nostalgic scent of the first wood smoke. 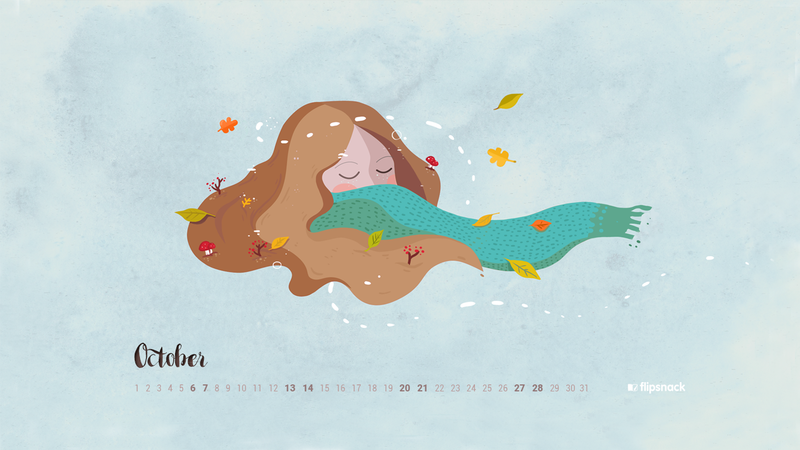 The second desktop calendar suggests perfectly this autumnish image! 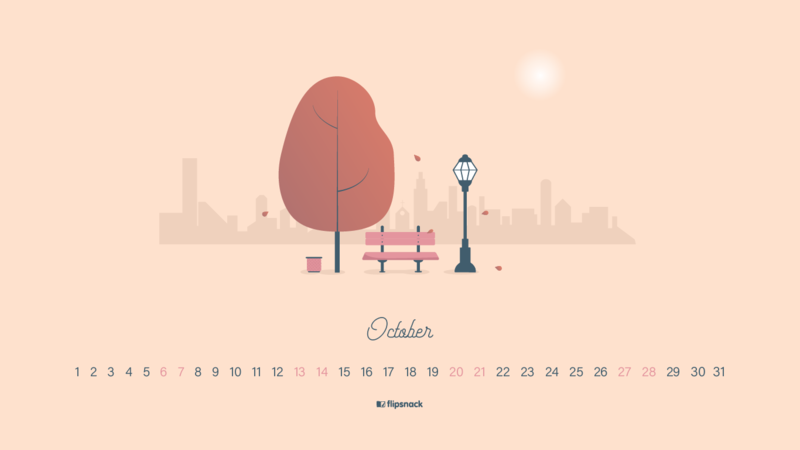 We hope these two free October 2018 wallpaper calendars will get you into the autumn mode. 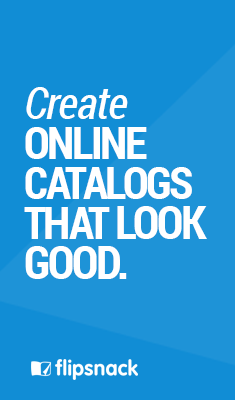 Download the calendar by clicking on the desired size. Check out other freebies that we offer and don’t forget to leave a comment with suggestions for us! See you next month! Happy October, everyone! There are really good and interesting designs of Calendar. Thanks for Sharing the useful collection. Passionate about books, traveling and summer nights.